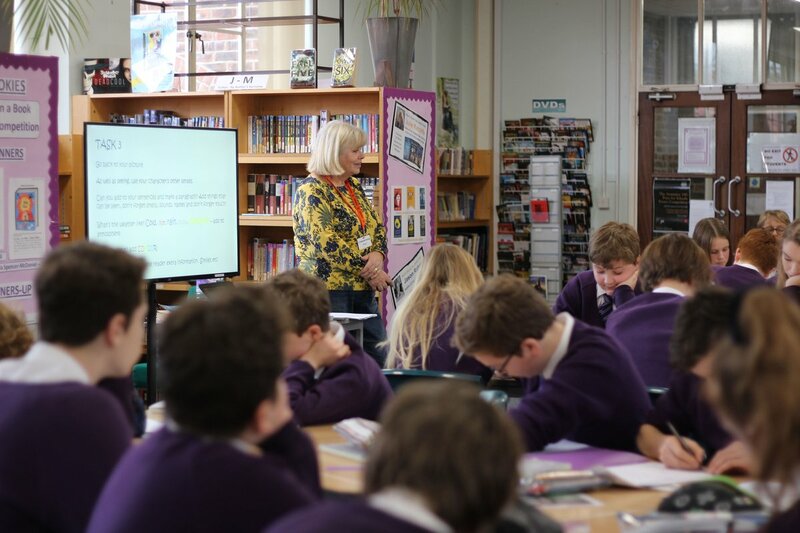 Julie had a great time working with Year 8 students at Highcliffe School following a recent visit to the school. She presented workshops dealing with scene setting. The students heard about choosing real or imaginary places for their stories and how to make them come alive for their readers. In two separate sessions pictures were used to describe scenes and these were developed over three tasks into a piece of work. Julie will present the workshops again later in the year. These were scheduled for World Book Day, but were postponed due to bad weather.